Kyungwon Medical Co., Ltd. is a leading manufacturer and distributor in orthopedic spinal system and neurosurgery product business in Korea. The company was established in 1991 and started to specialize in spinal fusion, osteoporosis treatment, and bone graft. To maintain a high level of quality, the company has been imposed by the certification ISO 13485, CE 0434 on products. 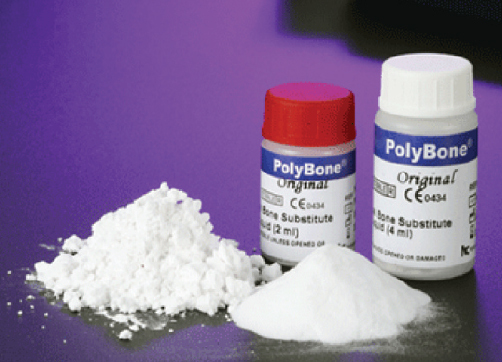 PolyBone is the revolutionary artificial bone substitute that is resorbed and replaced by natural bone to regenerate bone defects in the entire skeletal system. PolyBone’s bone formation mechanism is promoted by polyphosphate ingredient, which activates BMP and accelerates bone regeneration. This mechanism will achieve the best results in variety of surgeries involving bone fracture, craniofacial surgery, spine plasty, oral surgery, etc. It is available in different granule sizes as well as in block forms and variable packs of powder type. Hello there! Thank you for the comment. That’s fine as long as you disclose the source of this blog post. If you have more questions, please don’t hesitate to contact me.